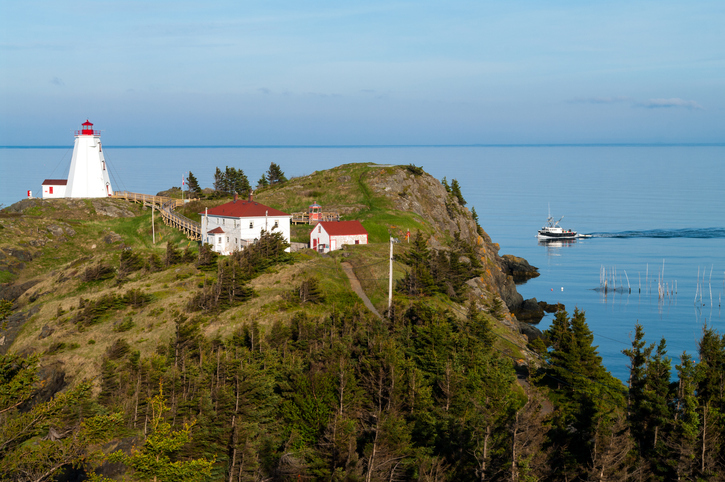 Head Harbour lighthouse on Campobello Island, New Brunswick,. Blue Spurs knew it had something special even before it won the Partners in Innovation category at the 2017 Amazon Web Services (AWS) City on a Cloud Innovation Challenge in June, which recognizes governments embracing innovation and the partner agencies helping them move forward. The Fredericton, NB-based company was co-founded by current CEO Mike LeBlanc in 2012 as a way to modernize businesses with custom cloud solutions, but has since become synonymous with Blue Kit, its low-code Internet of Things (IoT) educational starter program that helps middle and high school students understand the fundamentals of IoT. Mike LeBlanc, co-founder and CEO of Blue Spurs. First created to help Blue Spurs’ customers learn and make sense of the new tools that could optimize their organizations, the Kit transitioned into an educational tool after a conversation between LeBlanc and the New Brunswick provincial government. New Brunswick may be one of Canada’s smallest provinces, both by population and by land mass, but it’s taking giant steps toward digital transformation that puts it ahead of the pack. With new and innovative technologies like IoT and the cloud taking the world by storm, and significantly enhancing cyber threats along the way, the province has placed a special importance on increasing digital literacy within its borders. And as the successful Blue Spurs partnership indicates, it’s focused on educating the youngest of its residents. “The plan is to expand the deployment this program to more schools and to younger groups in elementary schools. IoT may seem to be beyond that age, but if you look at how much technology they use already, it makes sense. This is a really good tool to harness that interest and expose them to practical applications and the art of what is possible, like voice-controlled lights and things like that,” LeBlanc adds. 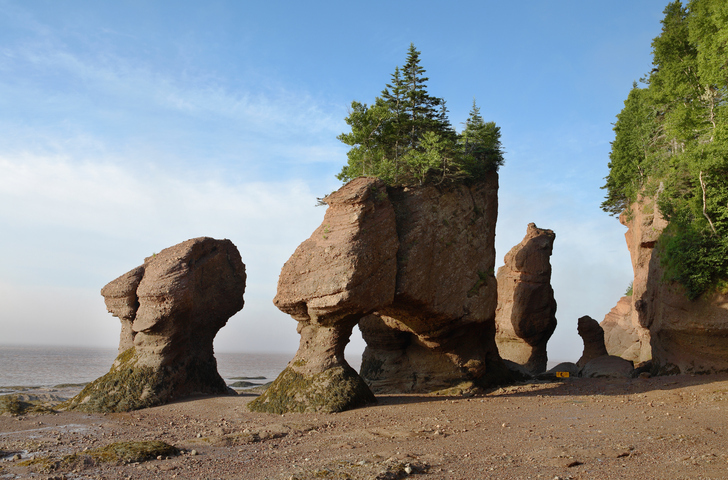 The Hopewell Rocks at low tide in the Bay of Fundy, New Brunswick. In addition to teaching young people how to harness new technologies, New Brunswick is also emphasizing education around the dangers of an increasingly digital world, becoming the first province to develop a strategy on cybersecurity and cyber innovation in 2016. Allen Dillon, head of CyberNB. The province’s cybersecurity initiative, CyberNB, was born amidst this innovative atmosphere. 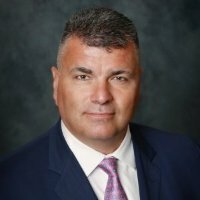 The strategic growth plan is led by Dillon and aims to establish New Brunswick as the epicentre for cybersecurity in Canada, create high value cybersecurity-related jobs, promote international collaboration in the industry, and create a new incubator dedicated to fostering start-ups and tech development in cybersecurity. Its educational aspect hopes to generate public awareness of cyber threats. And it’s not alone. New Brunswick is known as one of the most entrepreneurial provinces in Canada, Dillon says, and this has spurred many security-oriented startups, like Beauceron Security. 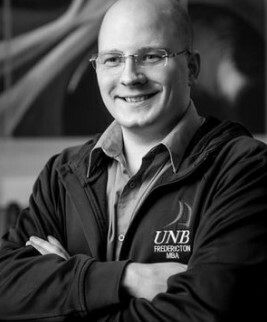 Cybersecurity expert David Shipley started the company in 2015 during his time researching at UNB after he realized how little time he had to implement a cybersecurity awareness training program for students and peers while doing his job of monitoring and protecting the institute from daily cyber risks like malware and phishing attacks. David Shipley, founder and CEO of Beauceron Security. “We were getting hit by half a million attacks per week by the time I left UNB, and there weren’t enough hours in the day to train people and push through awareness programs, or respond to incidents, let alone strategically plan for future threats,” Shipley tells IT World Canada. Beauceron was created to deliver a cloud-based platform that simplifies how organizations understand cyber threats and helps them take action to reduce risks. It moves the cybersecurity conversation from an IT-centric problem to a human-centric problem, the company says, and automates many of the routine tasks needed to educate people and entrench ideas of accountability. “We started looking at how we could build a tool that can help with cyber security from a people, process, culture, and technology point of view. How do we automate things like getting people to take education courses and do the phishing simulations, and how do we determine between attackers and defenders in a way that’s easy to understand?” Shipley questions. UNB was massively supportive of what started out as a personal project, he adds, saying that he was given access to facilities after hours and eventually accepted into the university’s accelerator incubator program, which presented them with a grant and office space. UNB also agreed to be the company’s beta customer. In June, Beauceron closed a half million investment round, he says, and it’s already grown to have 15 customers across North America. 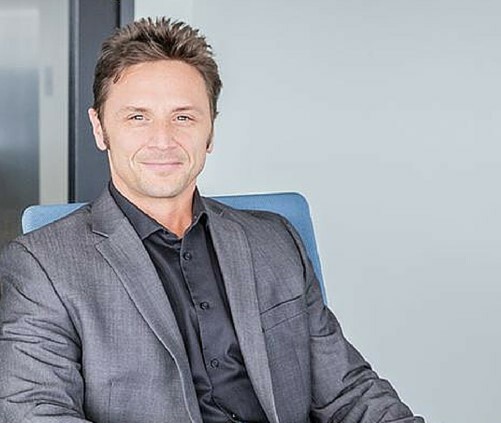 Moving forward, Blue Spurs’ LeBlanc wants to see people and organizations in New Brunswick better promote the innovation happening in the region. He adds that after having built several successful companies here, he wouldn’t think about starting a business anywhere else. “The talent pool, the startup ecosystem, and the infrastructure here are all amazing, and we can make a difference on a global scale from here easily. There’s a lot of great mentorship available as well,” LeBlanc says. CyberNB’s Dillon echoes these thoughts, saying that New Brunswick is the perfect place to start a business. “We have nuclear power, traditional power systems, big industry players, international borders, ports, terminals for oil and gas, highways, and cities just like the rest of Canada, but we have it in a nimbler space. 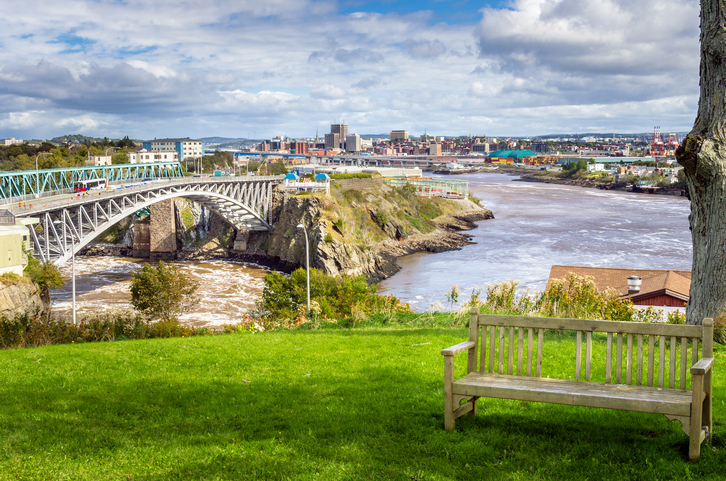 New Brunswick is a small, bilingual, and beautiful community where it’s easy to make connections, move on projects quickly, and talk to people, even in government leadership positions, and that’s our greatest advantage,” he points out. It even has the financial support to foster startups with the New Brunswick Small Business Investor Tax Credit, which helps investors receive up to 50 per cent of their investments in small businesses back in a tax credit. For Beauceron’s Shipley, this has been extremely motivating for investors and helps new companies like his find funding easier and quicker. Shipley tells IT World Canada that he’s seeing a lot of interest in clean tech, smart grid technology, and other energy-related innovations in the province. “Energy efficiency is huge in New Brunswick, and with our history in utilities and companies like Siemens having their global smart grid group based here, these are ideas and innovations that are really good fits for the province,” he says. But at the end of the day, cybersecurity will still be the biggest conversation going forward. “The issues of cybersecurity we’re seeing now will get worse in the next decade before they get better. This is what happens every time with tech and people. We invented the groundbreaking Titanic, then got really cocky about it saying we don’t need as many lifeboats as usual, but then hit an iceberg and realize perhaps that confidence was a mistake. We’re at that stage with the Internet, so there’s tremendous opportunity for companies to innovate and help businesses, particularly small and medium sized ones, tackle cybersecurity issues and understand that they’re not just the IT department’s problem,” Shipley highlights. He believes the next big wave around cybersecurity will be much more about personal security given the rise of IoT, instead of protecting big banks or governments. Dillon adds that educating people on the risks that come with greater adoption of technology will be key in overcoming such issues, and that starts with changing Canada’s education system to reflect the digital times we now live in.